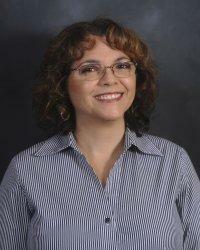 Sandra Averhart has been News Director at WUWF since 1996. 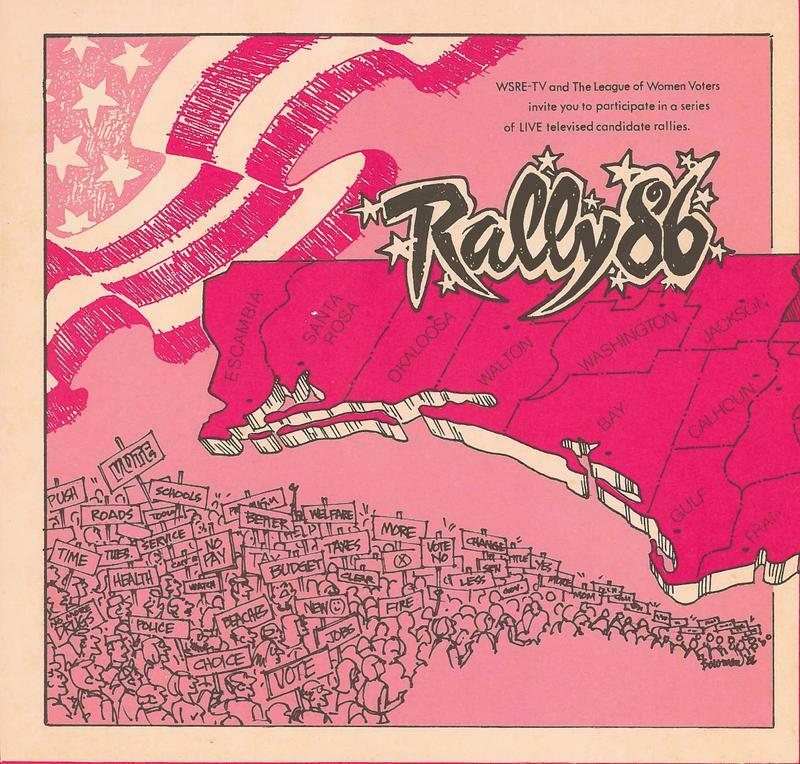 Her first job in broadcasting was with (then) Pensacola radio station WOWW107-FM, where she worked 11 years. Sandra, who is a native of Pensacola, earned her B.S. in Communication from Florida State University. For several years, Sandra was co-host of “Inside UWF” on WUWF TV. Also, she has partnered with WSRE TV to serve as co-host of their “Rally” candidate forums, most recently in 2012. 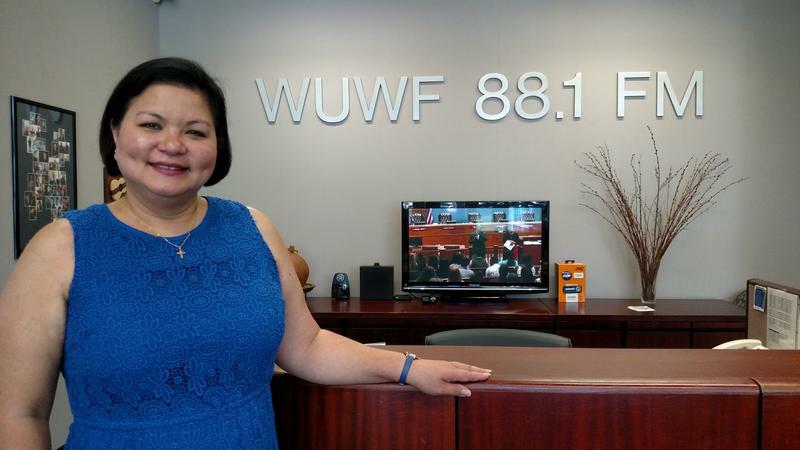 Sandra also lends her voice to the University of West Florida athletics program. 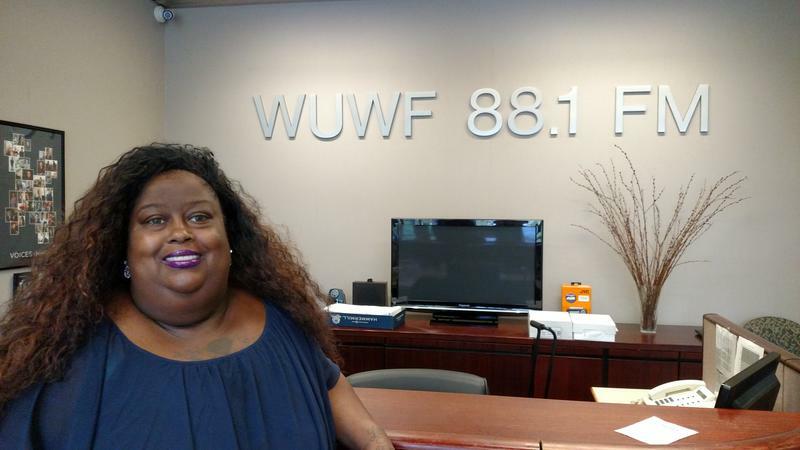 She has worked as public address announcer for Men’s and Women’s Basketball, and continues to “work the mic” at UWF Volleyball and Softball games. Along the way, she has been P-A announcer for four NCAA Division II national championships, to include two each in volleyball and softball. In her spare time, Sandra continues to enjoy playing softball. She lives in Milton with her husband Charles and two dogs, Beau and Mollie. 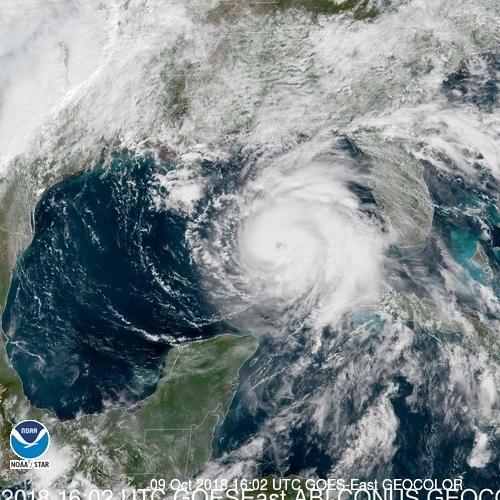 Hurricane Michael remains on track toward the north Florida gulf coast. It’s now a Category 3 storm, with top sustained winds of 110 mph and is moving north at 12 mph. Our listening area from the Florida/Alabama border eastward is under a Hurricane Warning. A Storm Surge Warning is in effect from the Okaloosa/Walton County line eastward. Time is running out to register to vote in the November 6 General Election. The deadline in Florida is this Tuesday, October 9. With just one day to go, the Escambia County Supervisor of Elections Office set up a table during the lunch hour Monday in the University of West Florida Commons. Calling out to those walking by is Benjamin Kinnard. 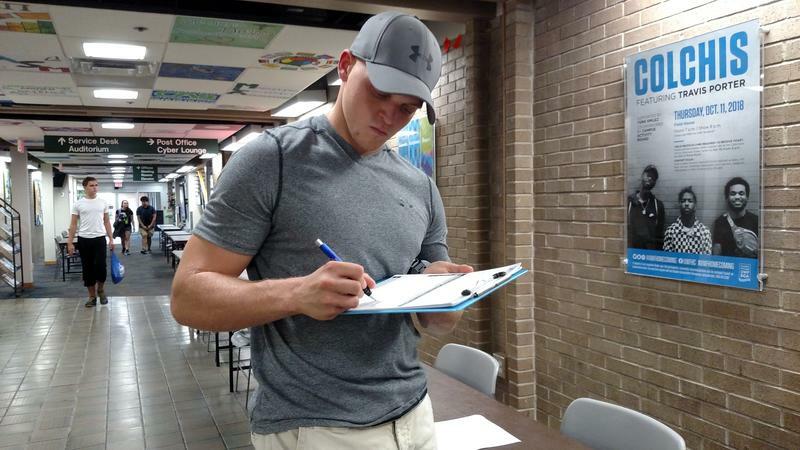 The 19-year-old political science major interned at the elections office over the summer and helped to organize this event on behalf of his club, the College Democrats. 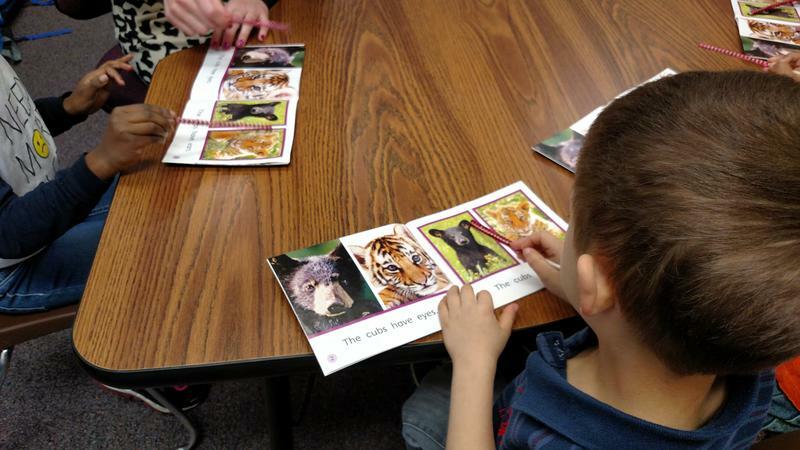 Achieve Escambia recently released its 2018 report card and set some audacious community goals for improvement, beginning with school readiness. The Florida League of Women Voters is taking time during the month of September to advocate for the importance of public schools and the need for adequate funding to support them. As part of this effort, the Pensacola Bay Area chapter is hosting a screening and discussion of the documentary Backpack Full of Cash. 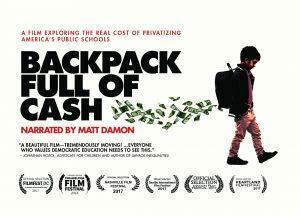 “Our children have a backpack full of cash and the schools should vie for the privilege of having that backpack turned over to them,” says one of the participants in the documentary in the film’s trailer. With the opening of the new National Memorial for Peace & Justice in Montgomery, Alabama, the Equal Justice Initiative has put a national spotlight on lynchings in America. 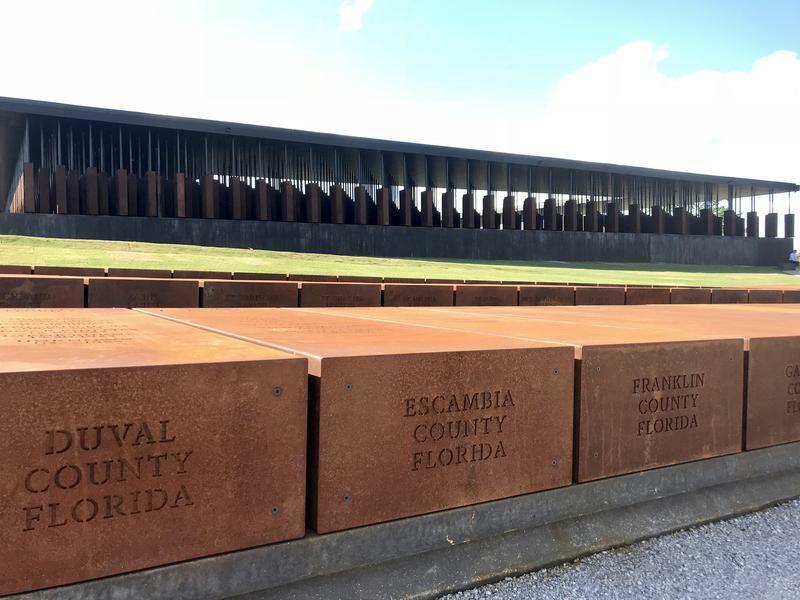 Locally, a group of citizens has been working with EJI to memorialize the lynching victims in Escambia County. A ceremony honoring them will be held Thursday afternoon. 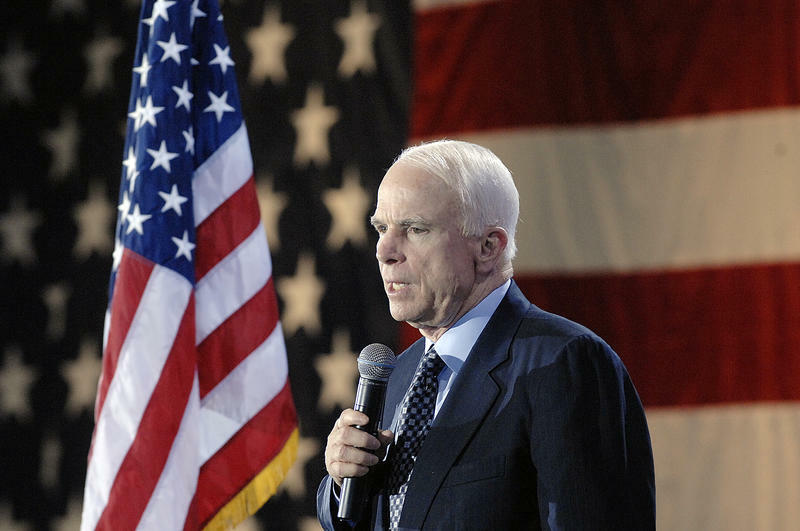 The long goodbye to Sen. John McCain will continue through Sunday when he will be laid to rest in a private ceremony at the U.S. Naval Academy. Prior to his death from brain cancer last weekend, McCain was a frequent visitor to the Pensacola area, where his bonds ran deep. The city is tied to his family’s legacy in the naval aviation. McCain also had close friendships in the community. In the race for the Florida’s District One Congressional seat, there are five candidates, including three Republicans. Jennifer Zimmerman of Pace is one of two Democrats running for the office. Known as Dr. Z, Zimmerman is a pediatrician who operates a children’s clinic in Santa Rosa County. Like her Democratic opponent Phil Ehr, this is her first run for political office. Voting is now underway in the August 28 Primary Election. But, for individuals who still need more information about the candidates before casting their ballot, the League of Women Voters is doing its part to help. The main mission of the League is to encourage informed, active participation in government. The non-partisan organization does that through voter registration, voter advocacy, and voter education. Students across Northwest Florida are heading back to school. 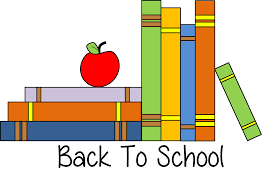 The first day of classes is this Monday, August 13. 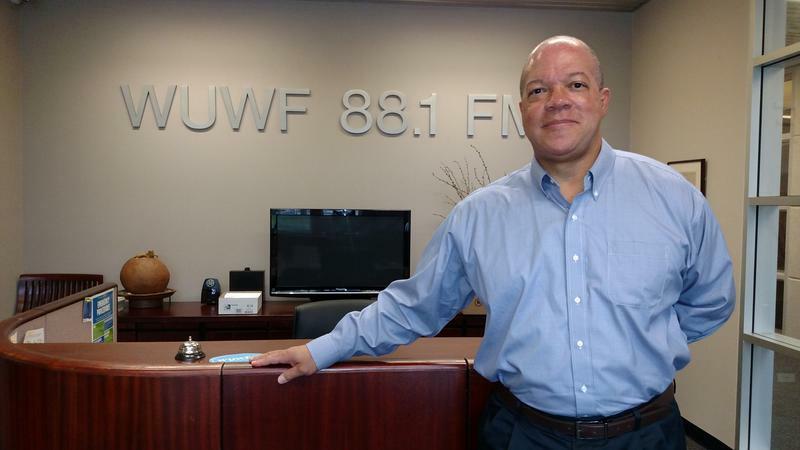 To get an update on readiness in the Escambia County School District, WUWF caught up with Superintendent Malcolm Thomas last Friday as preparation for the new school year were wrapping up. There are five candidates vying for the open seat in the Florida House of Representatives District 1, encompassing the vast majority of Escambia County. Political newcomer Franscine Mathis is one of two Democrats in the race. Like some of her opponents, Mathis is from the Pensacola area. She has three grown children. “I’m a proud Army mom,” Mathis said, referring to the fact that both of her sons are now serving in the Army. Her daughter is attending college. In recent years, it’s been pretty rare in Northwest Florida to have Democratic candidates squaring off in a state level primary election. But, this year, there are two running for the Florida House of Representatives District 1, which covers most of Escambia County. 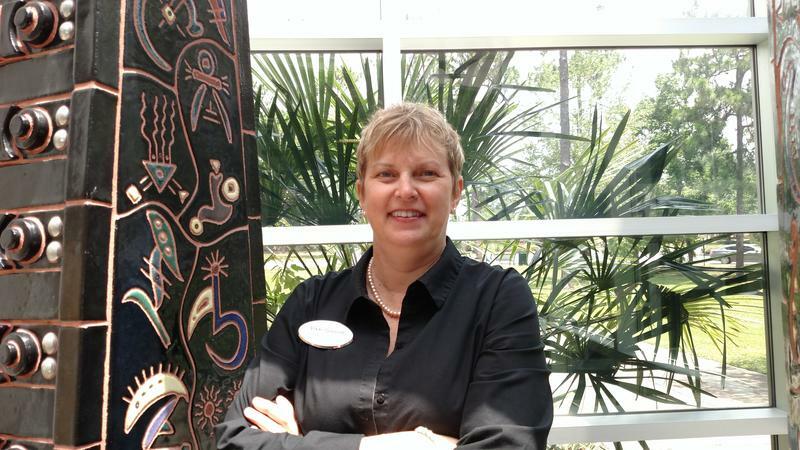 The race includes political newcomer Vikki Garrett, a native of the area, who earned bachelor and masters’ degrees from the University of West Florida. Garrett is making her first run for political office and hoping to take advantage of her decades of experience in transportation planning and engineering. The wide-open race for Florida House of Representatives District 1, which covers most of Escambia County, features two Democrats and three Republicans. 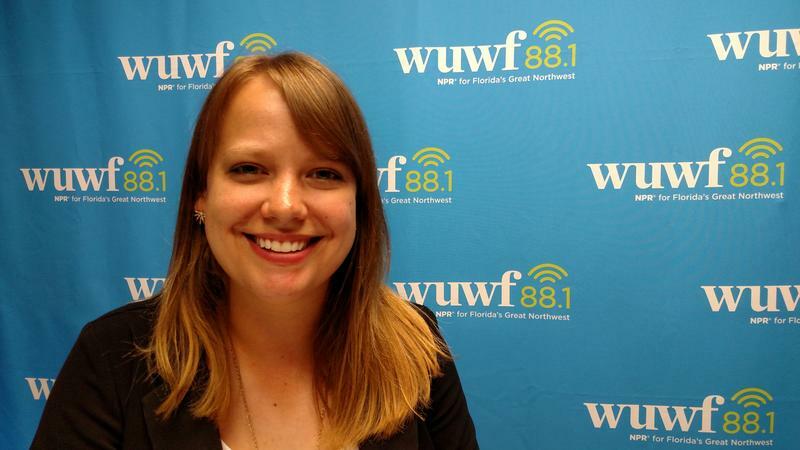 WUWF recently invited GOP candidate Rebekah Bydlak to discuss her bid for the seat. As a ninth generation native of the community, Bydlak’s run for House District 1 is personal, as she notes with a bit of family trivia. With incumbent Clay Ingram unable to run for reelection due to term limits, the District 1 seat in the Florida House of Representatives is up for grabs. There are five candidates vying for the office. Mike Hill, one of three Republicans in the race, is seeking to return to the state legislature. An Air Force veteran and local businessman, Hill served three years in the Florida House. He won a special election in 2013 following the death of then Dist. 2 Rep. Clay Ford. In 2016, he lost a contentious race for the state senate. 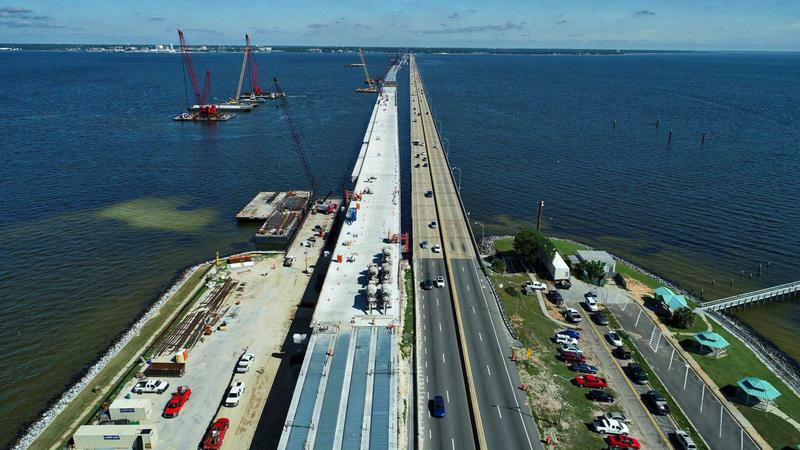 The Florida Department of Transportation took time out this week to address the many questions and concerns that have arisen following news of cracks in the concrete of the new Pensacola Bay Bridge. 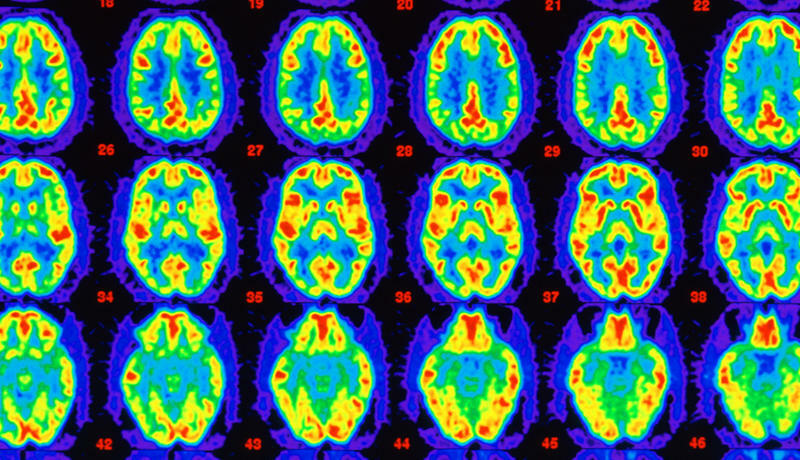 Alzheimer’s research is getting a boost from the American Association of Retired Persons, which recently announced a major financial commitment to help put development of new drugs on a fast track. Education officials across Florida are digging into the details of their school and district grades for the 2017-18 school year to see where they can make improvements when classes resume this fall. 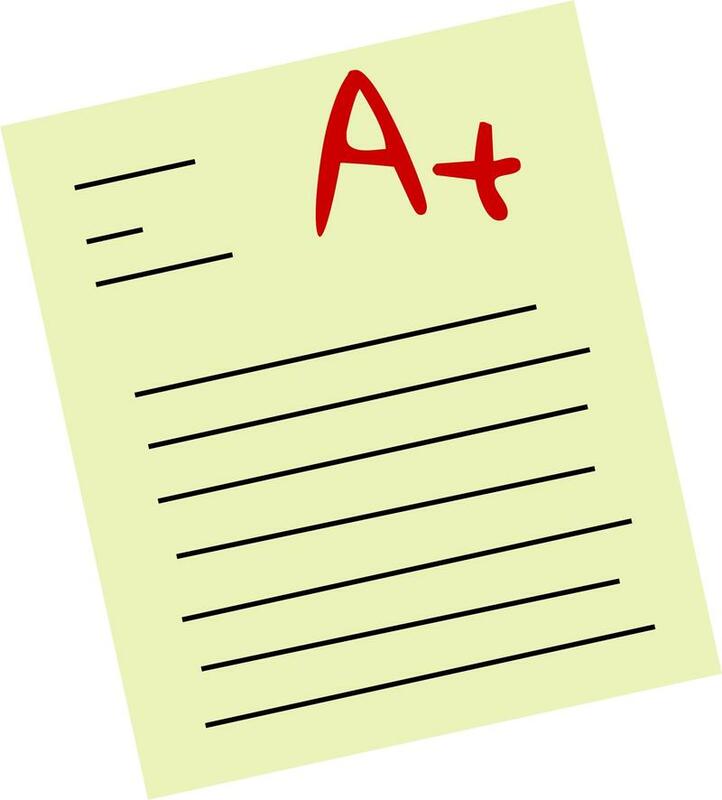 The Florida Department of Education released the grades on June 27. Florida now has more than 1,000 “A” schools (1,027 schools) up from 987 in 2017 and 763 in 2016. The percentage of schools earning an "A" increased to 32 percent, up from 30 percent in 2016-17. Jazz Pensacola is collaborating with the West Florida Public Library to present a Jazz Film Series on Sundays throughout July. The series features four films that were all released between 1955 and 1961. One is a fictional story, but the others are biopics, chronicling the lives of three musicians who were contemporaries and each became famous in the 1930’s and 40’s. 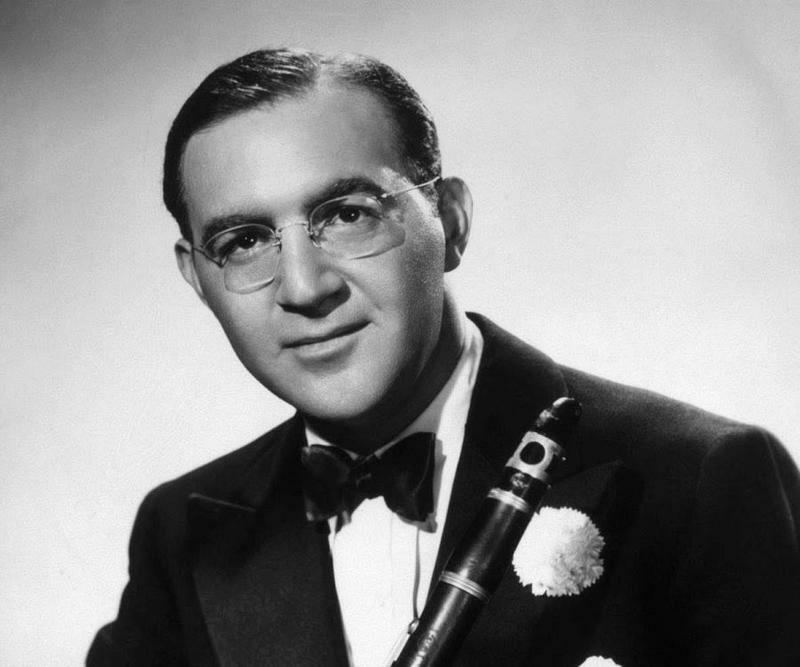 “The first one is this Sunday and it’s The Benny Goodman Story,” said Jazz Pensacola co-founder and jazz aficionado Norman Vickers, who helped to pull the series together. 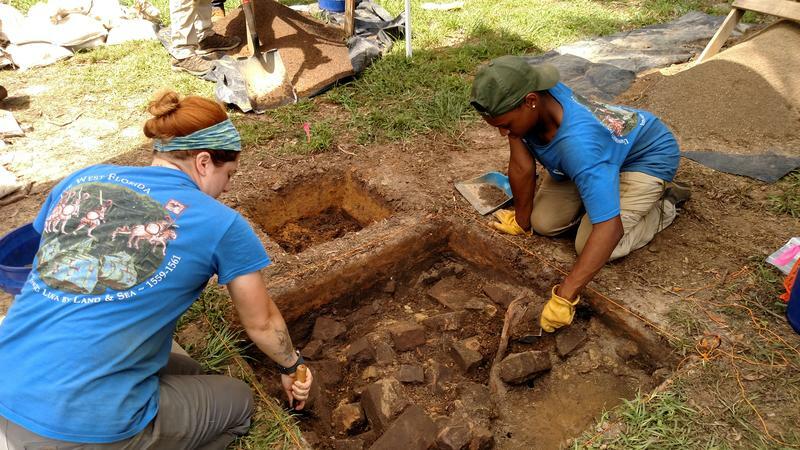 The University of West Florida conducted excavations this summer at the Arcadia Mill Archaeological Site in Milton. This latest round of research aims to add to the story of the Arcadia Mill Homestead, with a focus on the enslaved people who worked and lived there. 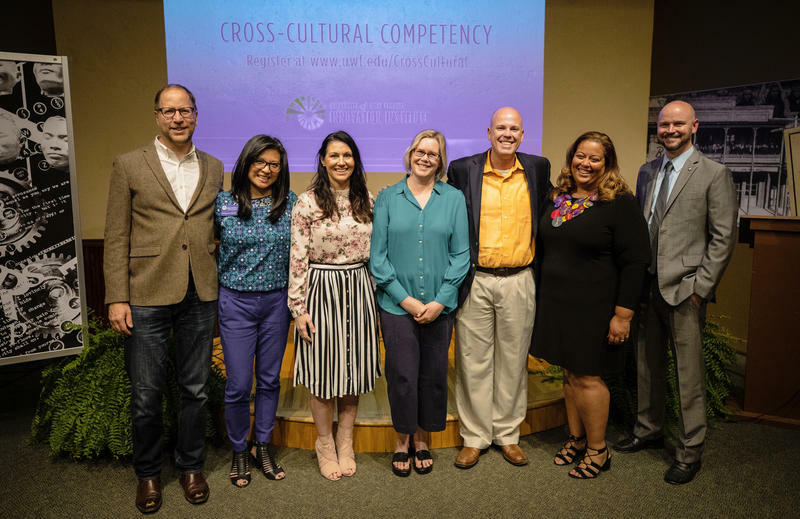 The University of West Florida is now offering its newest massive open online course (MOOC), Cross-Cultural Competency. The nationwide course tackles sensitive subjects and helps participants learn how to navigate diverse people and environments encountered in their daily lives. State and local officials have unveiled plans to improve safety along Cervantes Street in Pensacola. The first step is the installation of new lighting along the roadway. 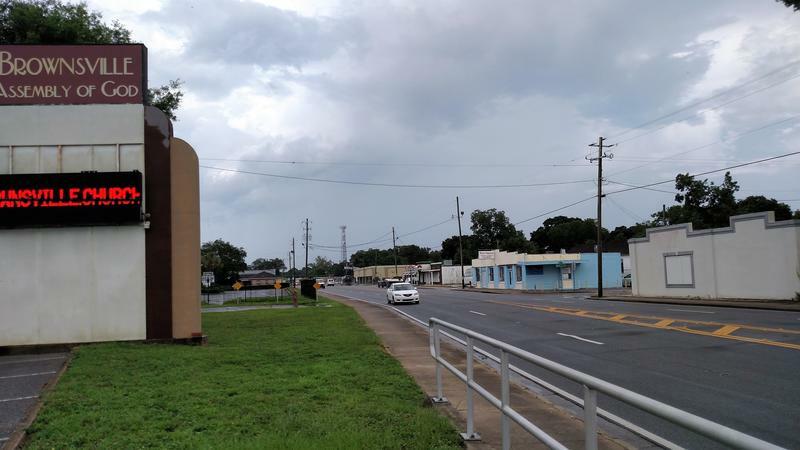 “And, today we’re making the announcement that a two-and-a-half mile stretch is going to be lighted with 72 lights and it started today,” declared state Senator Doug Broxson of Gulf Breeze. He made the announcement at a news conference Tuesday morning at the Brownsville Community Center as dozens of neighborhood children looked on.